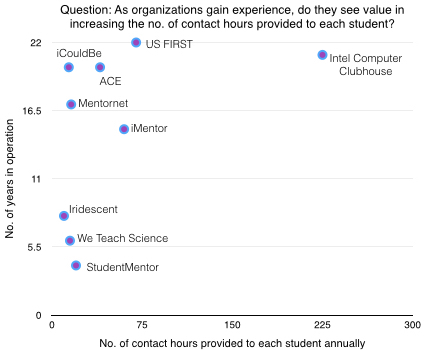 In our last article we focused on how mentoring enables personalized and deep learning (by employing a "Cognitive Apprenticeship" framework). 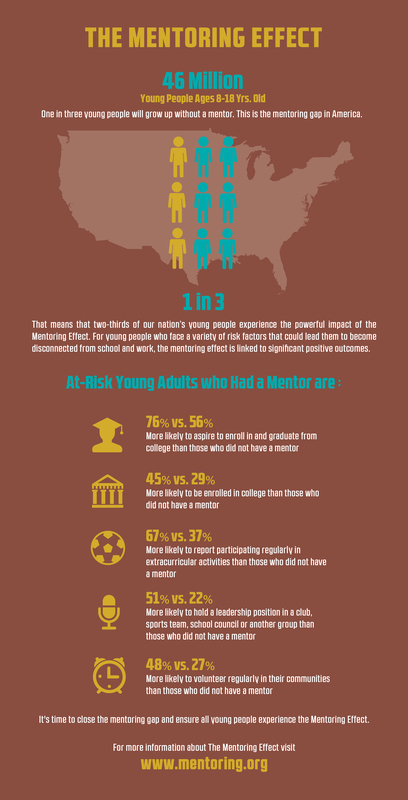 For this article, we will share insights gathered from high-performing mentoring organizations and from the research conducted by MENTOR: The National Mentoring Partnership. Mentoring has a profound, life-changing impact on youth, especially at-risk youth as seen in the infographic from MENTOR's report called The Mentoring Effect, below. 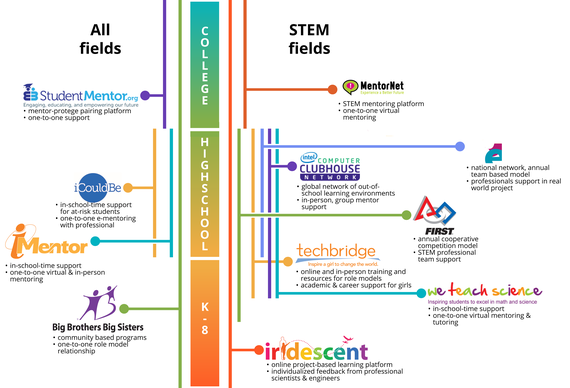 We talked to each of the following organizations and tried to identify patterns. Each organization caters to a different target age (as seen below) and has a different approach (as we outlined in the previous article). Each is making a profound impact on the students it serves. Lack of time: Some organizations were not able to provide cumulative data at short notice. 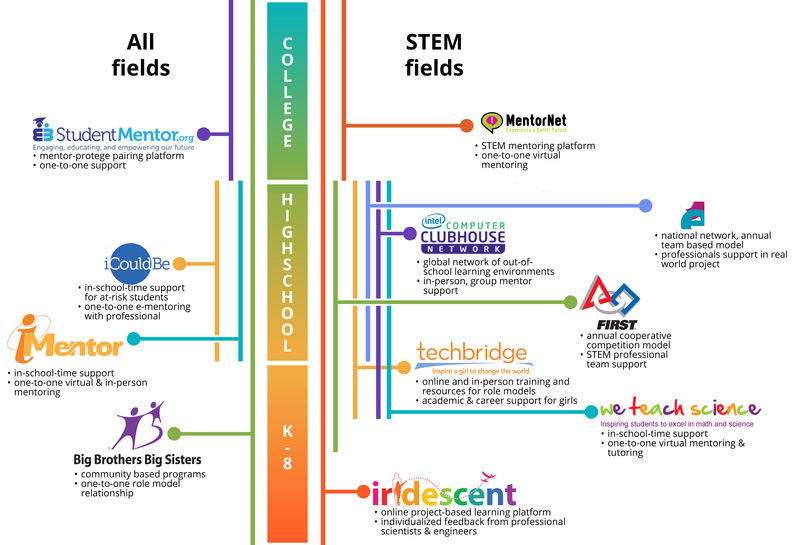 For instance, TechBridge is a powerful program making real change in thousands of girls. Just this year they reached more than 14,000 girls, but they needed more time to pull cumulative impact data across all years. 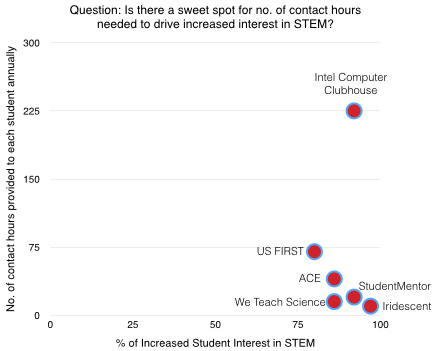 Lack of deep data: We were just able to pull high level metrics such as increased interest in STEM, overall reach, contact hours etc. They are a step forward, but there is so much more data that we can gather to draw a more nuanced picture that will be helpful for the field. The graphs below try to plot whatever data we were able to get and identify useful patterns. 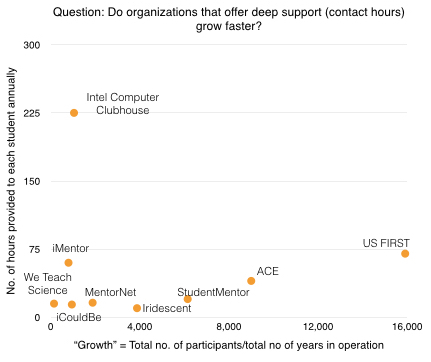 Seeing these graphs, Mike Garringer, Director of Knowledge Management at Mentor suggested that perhaps age of operation is not the best measure of sustainability in this branch of the field, seeing that several of these programs needed the technology to be in place for their service delivery to go from idea to reality. We Teach Science is a great example of that where its Skype-like platform couldn't have existed in a scalable way 10 years ago. We also recognize that sheer number of contact hours has very little connection to depth of impact. It is more about the quality. * data on the closeness of the mentor-mentee relationship, whether it is the primary focus of the learning experience, or the icing. We would like to connect this data to the depth of student learning gains. * how much support is needed from the organization to make a good match between the mentor and mentee. We would also love to hear any thoughts or suggestions you may have on what data points we should collect and look at. The need is large, the field is small. There is much to be learned and improved. (Graphic created by Audra Torres, Iridescent. 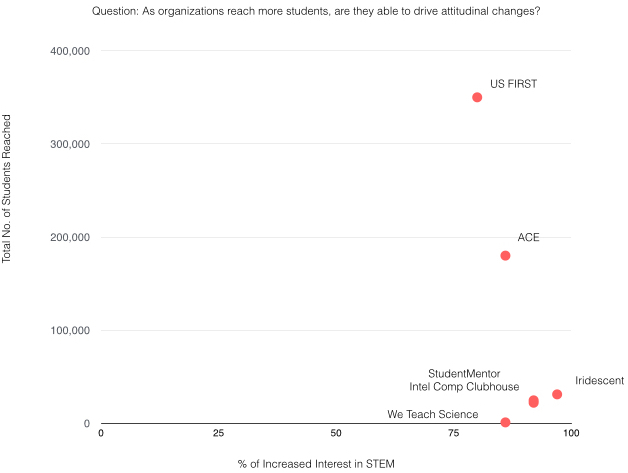 Data gathered through interviews with senior leadership at organizations whenever possible. Interviews were conducted by Andrew Collins, Mentor Community Manager at Iridescent. This article is the second in a series of three).